At Array, we pride ourselves as being ‘in the know’ when it comes to industry trends. We’re proactive in reading up on color forecasts, design movements and store walking to see what’s happening at retail level. So each year, Array takes a team to Chicago to check out the International Home + Housewares Show at McCormick Place. 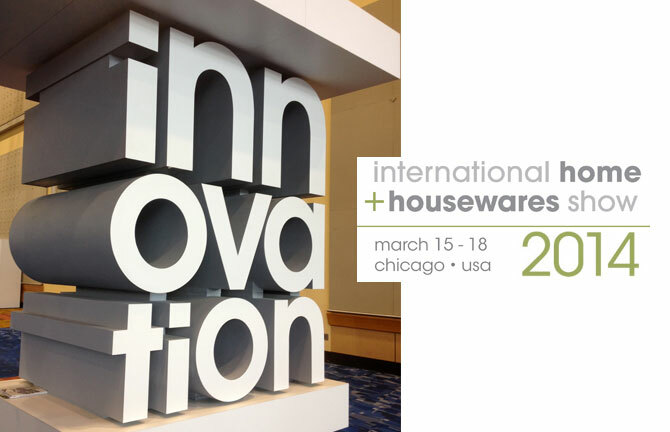 The International Home + Housewares Show is the world’s premier housewares marketplace, featuring thousands of exhibitors from 34 countries and buyers from more than 100 countries around the world. As a buyer, how important is the housewares industry? Consider this, by 1948 Americans were already spending $1.5 billion annually for housewares and small appliances*. This year, not only did the Array team attend as trade guests, but also two of our clients were exhibiting – Home Products International and, for the first time, Healthy Foods, LLC (with the Yonanas Brand). Array had a hand in producing mock packaging, signage, point-of-purchase graphics and special brand features for both the booths. To learn more about the International Housewares Association (IHA) or to register for the 2015 trade show, visit http://www.housewares.org/ to learn more.